You can concoct your own beauty products in the convenience of your home by mixing a few ingredients from your kitchen shelves. This statement might seem so oft-repeated and cliché, but surely we all have no second thoughts about the veracity of this claim. While olive oil is one such versatile product with a number of beauty uses, baking soda is another. It’s a known fact that baking soda is widely used in baking, deodorizing refrigerators, microwaves and in household cleaning; so now let’s look into some common as well as uncommon health and beauty uses of this household ingredient. Deep clean and refresh rough skin on your hands, elbows and knees with a gentle, invigorating scrub. Mix 3 parts baking soda with one part water to form a thick paste; apply in a gentle circular motion with your hands. To pamper your feet, mix 2 tbsp of baking soda and 1 tbsp table salt in a tub of bearably hot water. Soak your feet for 15-20 minutes. This removes all the embedded dirt and grime from your feet. You can then gently scrub your feet with the non-gritty blend mentioned in #1. This works as a great smoother for skin on feet and heels. Washing your face with dilute baking soda solution is a great way to remove old make-up and slough off the dead skin cells for a fresher look. Remove residue that styling products and shampoo may leave behind: Add a½ a tsp of baking soda to your shampoo. Rinse and condition as usual. If your hair has become too oily and limp and you don’t have the time for a wash, just sprinkle baking soda, a bit of talcum powder on your hairbrush and comb through your hair. This will absorb excess oils and freshen up your hair instantly. Take a lukewarm bath without using harsh soaps. Pat dry with a towel and apply a paste of baking soda on any area that has prickly heat rash. Leave the paste on for an hour or two. To relieve that sunburn ouch, apply a paste of baking soda and water to soothe and cool the affected area. To clean these without leaving a soapy film, fill a small basin with 1 liter water and dissolve 4 tbsps baking soda in the water. Soak combs and hairbrushes for a few minutes, then swish, rinse, and air-dry. This removes the hair spray and oil buildup from them. Similarly you can soak toothbrushes also in a baking-soda solution overnight to clean them. For dazzling white teeth, brush your teeth with a pinch of baking soda and table salt. Rinse out your mouth with water when finished. This even acts a mouthwash and helps with bad breath. Gargling with baking soda water also heals mouth sores. To clean your finger and toe nails, apply baking soda to your nail brush. Now, scrub your nails and cuticles with these to soften the cuticles and for great looking nails. For any kind of insect bites(bee sting, itching due to mosquito bite, ant bite etc.) apply a little baking soda over the area for a quick heal. It may not neutralize insect venom, but it can draw out swelling and reduce pain. So for an easy, inexpensive beauty treatment, look no further than your refrigerator or kitchen cupboard. Make that little box of baking soda to work for you in the above mentioned time-and money-saving ways. Who knows, you might never need to buy another beauty product again! While this statement is certainly an exaggeration, do not forget to give some of these a try and see what you think. Who knew that baking soda was the HG of beauty treatments. I recently had veneers put on my teeth and the dentist said that baking soda was the best way to keep them white without scratching them. That's another useful tip that you have added. Thanks for participating in this week's Carnival of Family Life, hosted at Diary of 1! 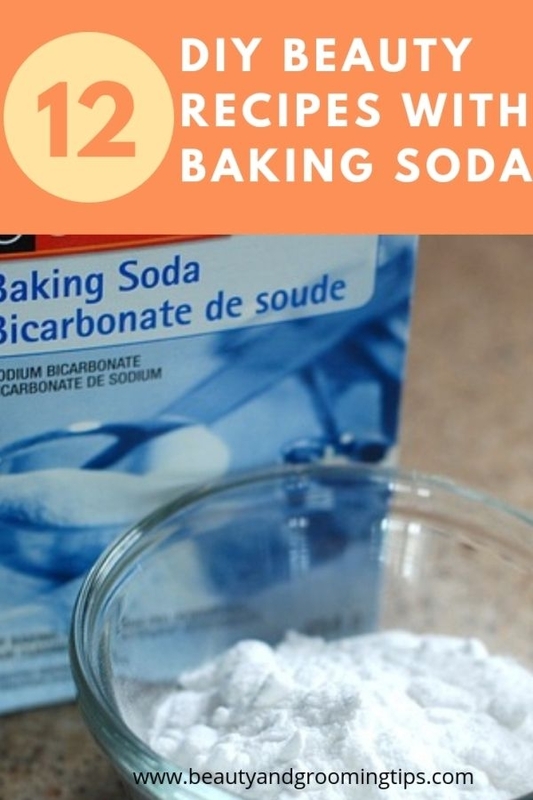 Great post and I totally agree, baking soda really gets the job done in so many ways. I got this tip when I went for a facial: The esthetician told me to help with the black heads around my nose I should at least once a week use hydrogen peroxide and baking soda. She said put a little of each in the palm of my hand and use my fingers to exfoliate the black heads gently. Cheap and handy! Take a soda bath to relieve general skin irritations such as measles and chicken pox. Take 1/2 teaspoon of baking soda in 1/2 glass of water to relieve acid indigestion or heartburn. Gargle with 1/2 tsp. baking soda in 1/2 glass of water. Freshens and cleans your mouth. Used as a mouthwash, baking soda will also relieve canker sore pain. To relieve sunburn: use a paste of baking soda and water. Bug bites: use a poultice of baking soda and vinegar. Bee sting: use a poultice of baking soda and water. Windburn s: moisten some baking soda and apply directly. Making Play Clay with baking soda: combine 1 1/4 cups water, 2 cups soda, 1 cup cornstarch. Use soda as an underarm deodorant. occasionally brushing teeth , removes stains , also can mix warm water & baking soda & drink for upset stomach, also open in fridge will eliminate any smells ..
WOW the packaging is amazing and the cause is great!! Baking Soda - (sodium bicarbonate) Considered to be a natural cleanser, deodorizer and an excellent dirt remover. It soothes the skin while it gently cleanses and is great for cleaning pores and removing excess facial oils. It leaves skin feeling soft and clean. When mixed with citric acid, you can make effervescent bath salts or bath bombs. 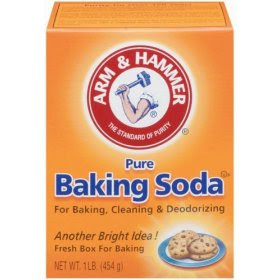 Baking Soda: it's about a buck a box and it's used for deodorizing everything from your fridge to your gym socks. It can also be used to clean porcelain fixtures, and a mix of baking soda, white vinegar, and boiling water will clear your sink drains in no time. Baking soda too makes for an invigorating facial scrub. Baking soda is alkali. And I think most of the alkali whiten things. EG. Bleach. I used baking soda to soak my dentures overnight & the result is great - the next day my dentures has no foul odor. I use baking soda and alcohol to clean jewelry. I use baking soda to brush my teeth and then rinse with peroxide afterwards. No more coffee stains! I keep a open box of baking soda in my refrigerator, which keeps it smelling fresh. just put it in a corner and it will absorbed odour. Take a palm full of baking soda and rub it on your wet hair. Wash it off with water. The baking soda should relieve the itching and help in reducing the problem of dandruff. My hair and skin is very oily so I make a paste with baking soda and water right in the shower. I use some to wash my face (I leave it on for a few mines) and I put the rest in my hair. Love the way it makes my hair feel! I've been using baking soda as a scrub for my skin for years. Don't need those expensive beauty treatments: just wet your face & shake a little baking soda on your fingers & scrub. It is drying, so be sure to moisturize after, but you will have soft, smooth, clear skin. Thanks for your frugal tip, I'll have to try it the next time I shampoo my hair. Used as a mouthwash, baking soda will also relieve canker sore pain. To relieve sunburn: use a paste of baking soda and water. . Bug bites: use a poultice of baking soda and vinegar. Bee sting: use a poultice of baking soda and water. Windburns: moisten some baking soda and apply directly. Making Play Clay with baking soda: combine 1 1/4 cups water, 2 cups soda, 1 cup cornstarch. Use soda as an underarm deodorant. you can use baking soda in your hair to clean out chlorine and other build up. Make it into a paste and work in. Use it as a mouth rinse as well. A great way to start your home pedicure. Dissolve 3 tablespoons of Baking Soda in a basin of warm water and soak your feet. Gently scrub with a paste of Baking Soda. The hardest part is deciding which color nail polish you'll use this week! Be a bit careful with the baking soda. While it works, using it too much can wear away enamel as it's abrasive. Baking soda paste rubbed on that garlic or onion smelling cutting board is a fast way to deodorize and whiten the cutting board without having cleaning chemicals on your food prep surfaces and countertops. Nobody wants to taste or smell that on their food. I have used it to whiten coffee stained mugs and various other types of dishes. Get the stain of Kool-aid, or juices off skin, and some surfaces. Mixing with club soda which is good for stains helps with odor. It's a miracle product. I dont know what world that one lady lives in but it is not a buck a box. Maybe 20 yeaars ago it was, now days it's several bucks 3-4 bucks a box. For on the spot treatment mix some baking soda with water, honey, or witch hazel. Make sure it is thick enough to stick on your face. Apply the mixture directly to your pimple(s). baking soda can help chronic kidney disease sufferers avoid having to undergo dialysis. Great article, I have used baking soda on my teeth and when I get a UTI. You have introduced me to many new ways to use baking soda. It's a great product, thanks for sharing all of these uses. I will be sure to try them out. A half teaspoon of baking soda mixed into a glass of water can act as mouthwash. Hairbrushes and combs pick up not only loose hair, but they also get oily. Clean yours once a month by soaking them in a solution of warm water and a teaspoon or two of baking soda. Scrub them with a soft brush, if needed, then rinse them with clean water and let them air dry. Thank you so much I used baking soda on my fave and it took away the pimples on my face it was so cool. I use a couple of tablespoons of baking soda mixed in a glass of water, as a rinse, after shampooing. I also use it to brush my teeth. It's way better than toothpaste. Castor oil and baking soda for skin tags.it actually works! 3. Castor oil and baking soda of course- any brands will doyou just mix the Castor Oil and baking soda together. The mixture should become rather paste like, and you can slather it over the skin tag. Put a band-aid over the Castor oil-baking soda mixture and this will keep it from drying out and losing its effectiveness.it's possibly the best way to remove skin abnormalities. When you apply the paste, it will begin to drain the moisture from the lesion, and if you do it consistently for a few days or maybe a couple of weeks, then the lesion will shrivel and fall off completely. Castor oil and baking soda for skin tags is just one simple method you can use to remove skin tags naturally and for good. Baking soda can make your shampoo more effective at removing build up of styling products. Add about one teaspoon to your shampoo (mix in your palm just before applying). Add baking soda ½ cup to bath water to clean and soothe the skin. I use baking soda to strip the gunk buildup from my hair and it works great. Funny story. . . I worked for a natural health store and the owner was trying to sell a customer some gunk to put in her hair after shampooing that is supposed to make hair shiny. After the boss walked away, I whispered my cheap alternative of using baking soda. She thanked me the next time she came in!!! Boss didn't make any money when I did these "interventions" but hey, I believe in helping people, not ripping them off. I use baking soda about a quarer size in the palm of my hand with hydrogen peroxide to moisten baking soda to exfoliate the dead skin cells from my face and to cleanse then I use witch hazel, its an astrigent to cleanse and reduce imflamation then I use clear aloe vera gel without alcohol for moisturizing my skin! All of these ingredients are really affortable and have multiple uses too! For -Corns and Calluses--Add 1 tablespoon of baking soda to a basin of lukewarm water and soak your foot for 15 minutes. Afterward, file the corn or callus with a pumice stone. Makes skin feel soft, skin looks brighter and feels clean. I've been using this stuff for a good while now and have seen fantastic results! It has reduced pore size, evened out tone and helps speed up healing time if I have a breakout. I've seen numerous sources state that if you have acne-prone skin, it is recommended to exfoliate twice a week with this method, but personally I think that's a tad too much. Baking Soda's pretty potent; if not used with care, unpleasant results could occur. I use this once a week after my usual daily cleansing and my skin has improved more with it than it has in years. I only knocked off one little 'happy-dancing-egg-man' because as mentioned, it is potent and can be pretty harsh if you're not careful (speaking from experience). I say at the very LEAST give it a try, and make sure to start gradually. I've had acne for about a year now. It's not enjoyable. I blame my diet a lot because on the weekends I pig out with lots of caffeine and chocolate. On the week days I drink some water, and I don't actualy eat that much. I plan on improving that though. The thing is, I've been trying to gain weight because I'm as skinny as a twig. I guess my diet for that has been doing some part on my face as well. Anyway, I tried to use commercial cleansers like Clean and Clear, which didn't work. I tried Proactive but that gave me a facial rash. I guessed I was allergic and I haven't used it since. I tried going to the dermatologist but he prescribed me Oxy Clinical treatment. That sort of worked for a while but it dried out my skin. I didn't mind though, but I ran out and that's probably where my bad eating habits kicked in. So I tried a homemade face mask. I mixed together lemon juice, baking soda and baking powder. I slathered it on the infected areas and I left it on for a little while (I'm sorry I can't tell you exactly how long. Jut wait until it gets real dry and whenever you move, little flakes fall in front of your face). Then I washed it off with water and washed my whole face with just water. Once I dried my face, my pimples had lost redness and had maybe gone down in size. I used that mask for a while and then my pimples alltogether faded! It was pretty amazing and didn't cost a thing for me. It might for you if you have no baking power and soda and lemon juice on hand. It will clean it quite well, and it will get rid of the conflixous spore germs as well. gargling a baking soda/water solution is "safe" but beware of the nasty taste. You can also brush your teeth with baking soda, clean tupperware, keep your ice tasting better, etc. It's amazing, really. If the problem keeps coming back you should, as someone pointed above, see some health care professional. It might be problems with your stomach, or you might have some bizarre food allergy that causes it too. Also, when brushing your teeth, take a few seconds to brush your tongue. Oooor, if you haven't eaten anything and have bad breath, eat something. Empty stomachs cause icky breath too. Yup, yup, yup. A thick paste of baking soda and water applied to bug bites can provide relief. Baking soda is a natural exfoliator for the skin. It sloughs off the dead skin cells which allow the new skin to breathe. Also, it works to soften the sebaceous glands (oil glands) to make for easier extractions of blackheads. I also tried it and it really does work. Baking soda is also a handy cleanser or cleaning agent for dentures. Quite safe to use and non-toxic. People brush dentures with it. is it okay if I'm going to use baking soda on my feet everyday or not? How often should we use baking soda on skin or any where !!!! Thanks for the tips on ways to use baking soda. What interested me the most was how useful baking soda can be as a skin care exfoliant.